But where are the longest runs in North America? I set out to find out and release my findings below. But there are provisos, disclaimers, or “small print” if you will, before we begin. Most important to note is that we are talking length of runs here in miles. This is, I know, not the most interesting number quoted by ski areas. The most popular number when we’re looking for long runs is vertical feet—how far from top to bottom of the mountain vertically. This list does indeed include the areas with the biggest verts as they tend to be the same places as the areas with the longest runs (you need a big vert to get a long run in). Well, that is a fair point, but my part is not to judge those long runs, just to report on their existence as they are, after all, the longest. 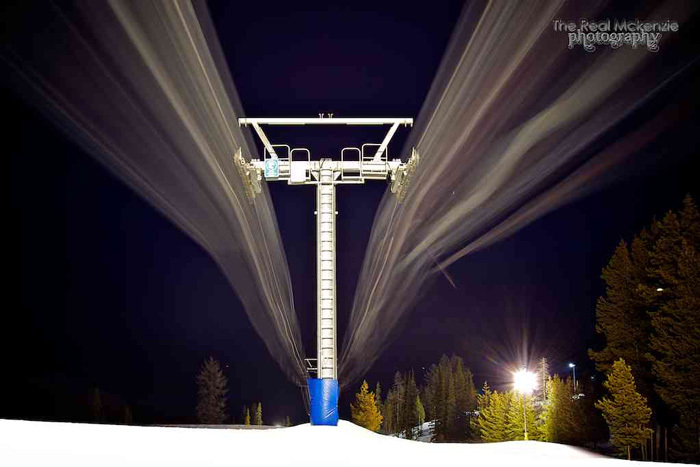 Jackson Hole may not have the biggest difference between the height of the top of its highest lift and the bottom of its lowest lift, but it does still claim to have the longest continuous downhill in the USA. So, in terms of ski-lift assisted constant vertical descent, it remains number one, although there are other resorts that offer longer, gentler descents over smaller verticals. At Jackson Hole you start up at 4,139 feet on the top of Rendezvous Peak, reached via the 100-person capacity aerial tram, then pick your line down through Rendezvous Bowl. Revelstoke has the longest groomed trail in the entire North America: Last Spike at 8.3 miles. The resort also has the continent’s greatest vertical difference between its top and bottom lift stations so if you want to descend on faster, steeper, slightly shorter (but still very long runs), you can do that too. And if you need even more vertical, you can hike a few hundred feet higher than Revelstoke’s highest run to start your descent. The numbers? 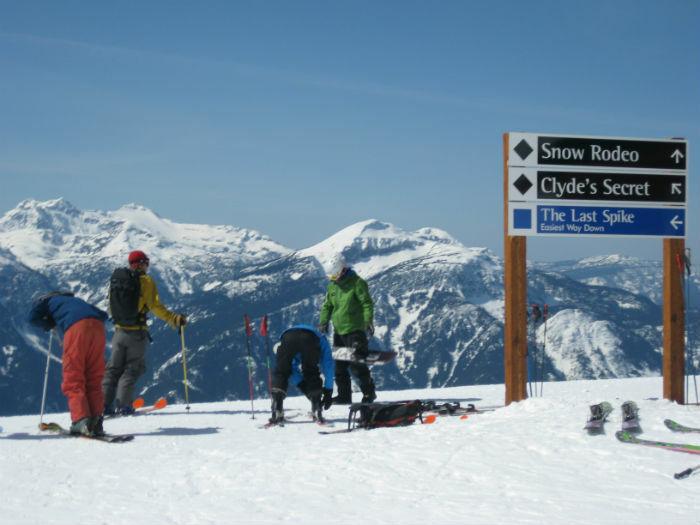 Revelstoke’s lift-served vertical is 5,620 vertical feet and if you hike on up from the top of the highest lift, 5,997 vertical feet. The 6.5 mile long Juggernaut trail at Killington claims the ‘longest in Eastern US’ title in terms of length. Killington doesn’t have the biggest lift-served vertical in the US, but it is still one of the bigger ones – the 25th biggest in North America, second only to Whiteface on the East Coast. As a result, Juggernaut’s descent down a 3,050m vertical is a gentle green circle run. Kimberley, on the Powder Highway in British Columbia between Fernie and Panorama, should not be overlooked by anyone visiting the area. 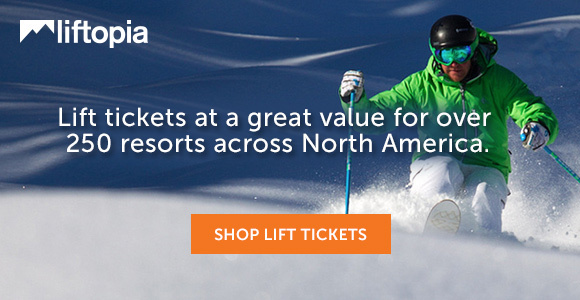 The fantastic ski area is efficiently served by a fast, well-designed lift network, with a quirky Bavarian resort center. All that said, Kimberley is also home to the longest run at night, a wonderful 1.5 mile long cruiser. Skiers and snowboarders who have travelled the world know that when it comes to big verticals and long runs that you can reach with ski lifts you can’t beat the Alps. The world’s biggest lift-served vert at over 9,200 feet and the best claimant to longest downhill run at around 13 miles (depending on whether the lower half has snow cover) is at Chamonix, France. There is, however, one world record for the longest possible ski run that North America does indeed hold, beating the Himalayas of Asia and the Andes of South America. The biggest possible constant vertical from top to bottom of a mountain is held by Alaska’s infamous Mount Saint Elias. Virtually all of Mount Saint Elias’s 18,008 feet of vertical is skiable, top to bottom, which isn’t the case with any higher mountain. The problem is that conditions on the mountain are often so extreme that only a dozen or so people have tried to ski the whole vertical and none has managed to do so in one go. Only the extreme skier Axel Naglich made the full vertical about a decade ago, but took a break of several months in his descent down. He was flown out then back in to complete the run by helicopters organized by sponsor Red Bull, who was making a movie of the attempt. So it’s still waiting to be fully skied by someone. It’d be cool to see some sort of index for describing average or median length of ski runs for each resort.